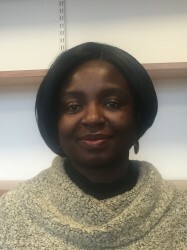 May has a background in Chemical and Environmental Engineering with degrees from the University of Lagos (BSc), Newcastle University (MSc), and Imperial College London (PhD). She has worked and carried out research on urban water supply systems, water pollution and treatment, and WASH (international development). Much of her work in the past few years has been focused on the technical and non-technical (socio-economic) aspects of achieving WASH success in line with the global sustainable development goals agenda. Schistosomiasis, also known as bilharzia or 'snail fever', is a parasitic disease affecting an estimated 258 million people in 78 countries worldwide. It kills an estimated 280,000 people annually and ranks second only to malaria as the most common parasitic disease. Control of the disease focuses on treatment with the drug praziquantel, a single dose of which reduces the burden of infection and severity of symptoms. However, rapid re-infection is common. Education campaigns about the risks of exposure to contaminated water and improved water supply and sanitation should in theory break the life cycle of the disease. Unfortunately there is very limited and incomplete information available regarding the effectiveness of water treatment processes at removing or inactivating the infective stages of the parasite. Also, there are no rapid means for detecting the parasite in water samples and thus determining risk of infection. WISER is a three-year research programme aiming to address these gaps in critical knowledge through a collaboration between water engineers, synthetic biologists, parasitologists, and social scientists in the UK, Ethiopia and Tanzania, in the hope of developing invaluable new knowledge to guide the design of sustainable water infrastructure for schistosomiasis-endemic regions. May's role is being primarily responsible for coordinating WISER's efforts on case studies, which will include to: Determine non-technical social and economic factors for effective intervention in case study communities; and Develop design guidelines and recommendations for appropriate, sustainable, affordable and equitable water infrastructure.